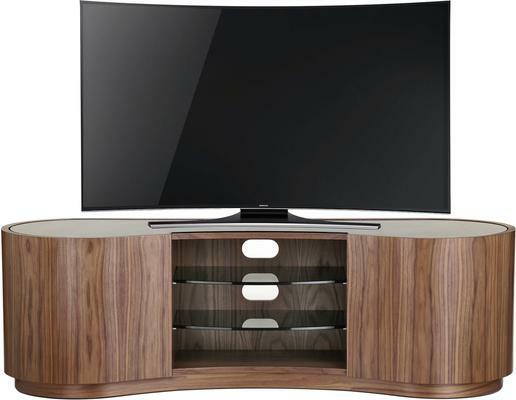 Practical storage with great form factor, the Tom Schneider Swirl TV Media Cabinet lets your enjoy your media with style. Technology is at the forefront as this stunning and sleek cabinet was crafted. Offered in two sizes, it can fit television sets up to 80" in size. 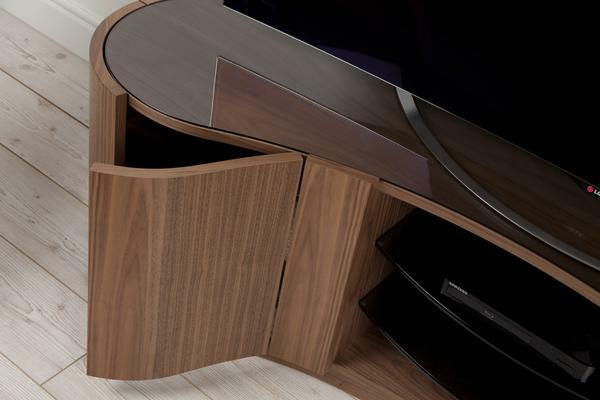 The sleek and rounded shape delivers elegance and ensures you not only get a TV stand but a statement furniture as well. For those who want something more, the Deluxe model comes fitted with smoked glass shelves and top for that extra luxurious flair. Can fit TV sets up to 80"